C-drík aka Kirdec begun to study declamation, orchestral drums and music theory in 1985, started to compose music in 1989 in the project Crno Klank. He later on studied electro-acoustic/acousmatic music at the conservatory of Mons, Belgium and worked in a media library (La Médiathèque). 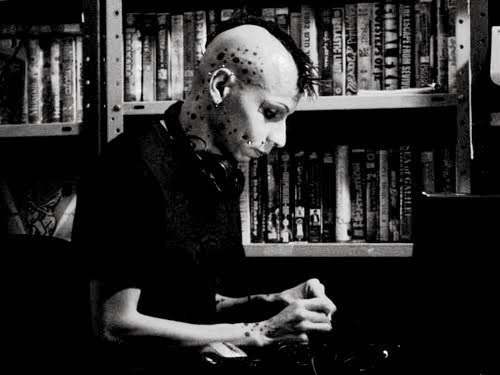 He currently produces different music genres ranging from electro-acoustic music to minimal wave, digital punk to industrial, dark ambient to electronica, etc. He's Syrphe label owner, a label partly dedicated to alternative electronic and experimental music from Africa and Asia. He collaborates once per month to Staalplaat Radio and presents experimental music from Africa, Asia and Latin America and publishes experimental and electronic music artists on his label Syrphe. He's a member of a few electronic music bands such as Axiome (Belgium), Tasjiil Moujahed (Lebanon) and collaborated with artists all over the world. He performed in festivals like ZXZW (now Incubate Festival)(Netherlands), Maschinenfest (Germany), Hanoi Sound Stuff (Vietnam), Audiotrauma (France), Pulsation Sonore (Algeria), to name a few and has been selected to perform and / or give some workshops in the following European capital of culture : Brussels 2000, Maribor 2012, Marseille en Provence 2013. I will present a work made of real time processing, feedbacking and looping of captured sounds with a contact microphone, field recordings and electronic sounds.